Zambia has been recognized by the African Union as a model country that has institutionalized the coverage of social security to the informal sector by creating structures at National level. The recognition was made by Clement Pengwende sawadogo , Chair of the Bureau of the African Union Third Specialized Technical meeting on Social Development , Labour and Employment in Addis Ababa, Ethiopia. He urged African countries to emulate Zambia and provide social security for the informal sector. 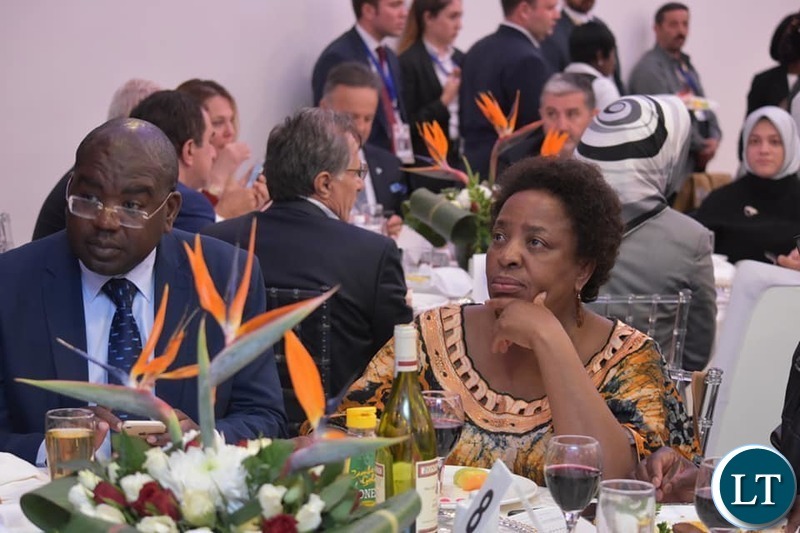 Minister of Labour Joyce Nonde Simukoko said the recognition by the AU was testimony that Zambia was making strides in ensuring that social security services are not only a preserve for those in formal employment but those in the informal sector too. She said government was committed to finding ways of up lighting people’s livelihoods through creation of employment and promoting entrepreneurship. And NAPSA Contributions and Benefits Director Mason Mwiinga said so far NAPSA has registered over ten thousand workers from the informal sector. Mr Mwiinga said the five priority areas in the informal sector include taxi and bus drivers, marketeers and traders, construction workers and small scale farmers. He said NAPSA was also implementing the social protection for informal and rural Economy workers with a specific focus on the small scale farmers, who constitute over 50 percent of informal sector workers. THIS AFRICAN UNION HAS GOT NOTHING TO SAY. ZAMBIA REALLY? Why they make Mickey Mouse recognitions? Why these reporters make mickey mouse mistakes? Remind me again, who is AU?